Hotel City Heart is one of the finest hotels of Haridwar. The hotel has set a benchmark in rendering quality services within affordable prices. The elegantly designed hotel is fully equipped with latest furnishings and stately rooms having a modern decor which catches the attention at once. The hotel is synonymous for hospitality as it believes in the famous Indian saying Atithi Devo Bhava which means Guests are equivalent to Gods. The hotel promises a luxurious stay where the guests are provided a royal treatment by the dexterous staff of the hotel. The hotel is located near Birla Ghat on Bholagiri Road in Haridwar. The hotel is easily accessible as the railway station and bus station is located at vicinty of the hotel. The famous visitors attractions such as Har Ki Pauri and Mansa Devi Ropeway are at proximity of the hotel which is barely a five minutes walk. 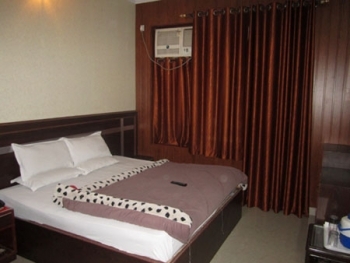 The hotel offers accommodation in (42) A/C as well as non A/C rooms. The rooms are well favored which has an essence of contemporary as well as traditional looks. The rooms are spaciously designed which possess tasteful interiors. Each room is well equipped with modern amenities to provide absolute comfort. The cosy and comfortable rooms comprises of an attach bathroom which is well facilitated with hot/cold running water, LCD TV, Wi-Fi access, 24 hours power backup and intercom facility. The luxury hotel also offers recreational activities and exclusive yoga and spa packages. Delicious and appetizing dishes are served by the hotel at the comfort of your room. The hotel serves an array of multi cuisines such as Indian, Chinese and Continental dishes. Finger licking and healthy food is served hot by the dedicated staff of the hotel. Guests can enjoy having scrumtious food with their loved ones in the pleasant ambience. 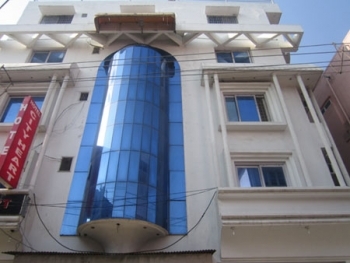 The hotel is situated at Bholagiri Road in Haridwar. The divine city of Haridwar is considered as one of the pious places. Being a famous pilgrim place it is well connected by motorable roads from destinations of India. All cities in and around Haridwar are well connected by state owned busses. To make the jouney comfortable deluxe busses are also available from Delhi to Haridwar. Regular busses operate from major cities like Jaipur, Jodhpur, Dehradun, Shimla and many other cities located close to it. Haridwar being a famous tourist destination has a great connectivity of rail roads. Haridwar Railway Junction Station is well connected to major cities in India such as Delhi, Mumbai, Kolkata, Chennai, Indore, Jaipur, Ahmedabad. There are also few trains that run frequently to Rishikesh at regular intervals. The nearest domestic airport fron Haridwar is Jolly Grant Airport at Dehradun about 20 km away. The Dehradun airport operates daily flights to Delhi. The nearest international airport is Indira Gandhi International Airport at Delhi which is 200 km away. It is well connected to most of the domestic and foreign airports.